Is the BlackBerry London the first BBX phone? | BlackBerry Blast! BlackBerry Blast! 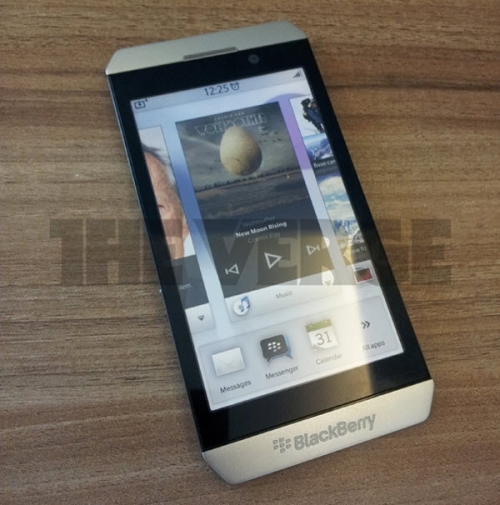 > News > Is the BlackBerry London the first BBX phone? Is the BlackBerry London the first BBX phone? The Verge got its hands on a photo of a device dubbed the BlackBerry "London" that could be the first BlackBerry running BBX. The Verge isn't sure if the photo is legit, so just take it with a grain of salt for now. The London is reportedly thinner than Apple's iPhone 4s features a TI OMAP dual-core 1.5GHz CPU. It has 1GB of RAM, 16GB of onboard storage, an 8-megapixel rear camera, and a 2-megapixel front-facing camera. The London is about the same size as the Samsung Galaxy S II. If the reported features are correct, it looks like RIM is making a solid effort to compete with iOS and Android.